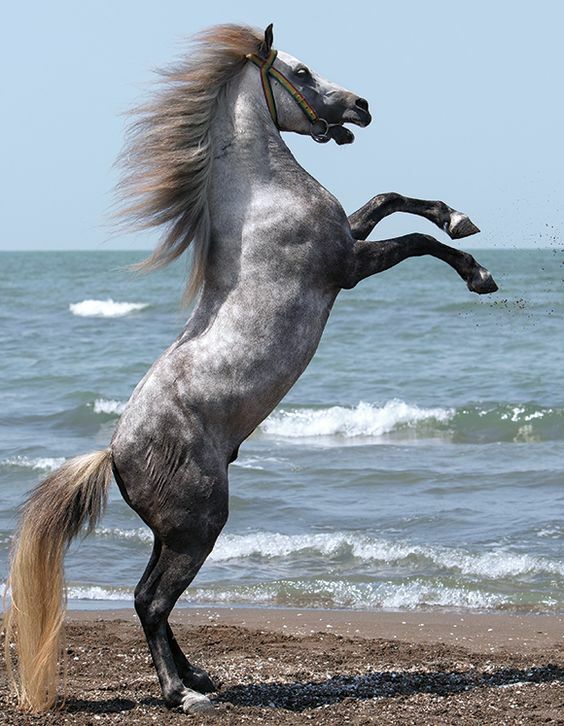 The Caspian is a horse, not a pony, and therefore should be viewed in the same manner as when judging a well-bred horse, that is, the limbs, body and head should all be in proportion to each other. Foreshortened limbs or a head out of proportion are faults. The overall impression should be that of an elegant, small horse. Characteristically slim with deep girth. Chest width in proportion to width of body. It is a fault to have “both legs out of the same hole”. Close coupled, with well defined hindquarters and good “saddle space”.